BFST® Wraps stimulate blood flow to repair injured tissue and promote fast healing. 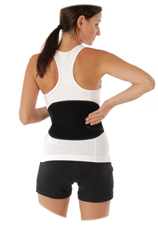 The BFST® Wrap is designed to treat soft tissue injuries and chronic conditions. It is also ideal for post-surgery recovery. The BFST® Wrap should not be used in the first 48 hours following a fresh trauma or substantial re-injury to the area, as there will likely be inflammation. Everyone should start their treatments on Level 1 and work their way through the levels gradually as they heal. Proceeding immediately to Level 2 or 3 will not speed up your healing time. You need to condition the body first. During your first treatments on Level 1, the treatment area may feel quite warm (your circulation is poor). The more treatments you do, the less warming sensation you will feel. This is good. As the warmth lessens from treatment to treatment, this means your circulation is improving. Better circulation means improved blood flow all the time, not just during treatments. When you feel very little warmth during a treatment, it is time to move up to the next power level. Moving through the levels is not a race. You are supposed to move through the levels slowly. Before moving up to the next level, make sure you can feel almost no warmth on the previous level. Most people never get to Level 3. Moving up in levels too quickly actually works against you, because it's less effective. The BFST® device should not be hot when used properly. While it will get warm, you do not want it hot. Think 'Healing Pad', rather than 'Heating Pad'. If it does feel hot, use the Wrap on a lower level. Less is more when it comes to heat and BFST® treatments. Less heat means a more effective treatment. This is because too much surface heat causes blood to pool at the skin which forms a barrier to deep penetration, making it harder for your soft tissues to receive the benefits of the BFST® device. The more subtle the warmth, the more effective the treatment will be. For optimal results, do 3-4 full (20 minute) BFST® treatments per day. Since the effects of each 20 minute treatment last for up to 4 hours afterwards, it's best to spread your treatments out over the course of your day. An ideal treatment regimen would be one treatment first thing in the morning, another treatment in the afternoon, a treatment in the evening, and the last treatment of the day right before you go to bed. If you only have time to do 2 BFST® treatments per day, this is sufficient but not ideal. Do one treatment first thing in the morning and another treatment before bed. The BFST® Wrap should be worn loosely during treatment. You should be able to fit two fingers between the wrap and your skin. There is a huge benefit to continuing BFST® treatments for months and even years after the pain is gone. The healing process takes much longer than most people realize. Even once the pain is gone, your injury may only be 20% - 30% healed. (You can click here for the full story). The key thing to remember is that long after the pain stops, your injury is still healing. That's why you need to keep doing regular BFST® treatments. Continuing to do BFST® treatments for 6 months, 1 year, or even 2 years after you've been injured is very important when it comes to preventing re-injury. Do a BFST® treatment prior to any physical activity you do. This will act as a "warm-up" for your circulatory system and help you avoid re-injury. There is a possibility that during or following BFST® treatments the pain of the injury can increase. This is typically an indication that the area has recently been re-injured. These symptoms can be treated with ColdCure® treatments. But most importantly, you need to be aware that something leading up to your treatment caused your situation to get worse - the BFST® is just making it more noticable, BFST® is not causing the underlying problem. Pain is unpleasant but it is also your body's way of letting you know something is wrong. It is important that you figure out what is aggravating the injury and try to eliminate the underlying cause. Discontinue BFST® treatments until you stop the reinjury process. When you are ready to use BFST®, the treatments will not make the symptoms worse. ColdCure® Wraps are designed to reduce pain and inflammation by preventing blood and fluid from building up in the area of injury. It's important that the ColdCure® Wrap be used as soon as possible following a soft tissue injury. 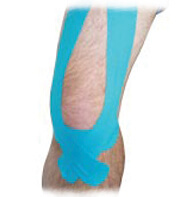 It can also be used any time after to alleviate pain and swelling associated with mature or returning injuries. 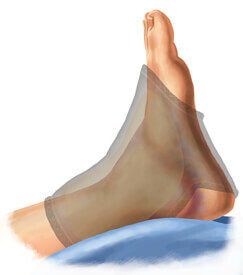 The ColdCure® Wrap can be worn without the XC Gel® pack to provide support for your injury while reducing swelling. Note: Ideally, the injured area should be at rest during treatment. ColdCure® Wraps come with 3 XC RigiGel® packs. The XC Gel® packs will take 2-6 hours to fully charge, depending on how cold your freezer is. Most people store their gel packs in the freezer at all times so they're ready to use when needed. Insert the XC Gel® pack inside the wrap; apply the wrap to the injured area, do a 20 minute cold treatment, then remove the gel pack from the wrap and put it back in the freezer to recharge. Wait another 20 minutes before doing a second treatment. Cycle treatments in 20 minute intervals like this throughout the day. When using XC Gel® packs stored in the freezer, put a layer of clothing between the wrap and your skin. Always make sure you let your body get back to normal temperature before you start another treatment. If you find the gel packs too stiff to put on when you remove them from the freezer, this is normal. It's a safety feature that we've designed into the gel packs to stop you from using them when they're too cold. Simply let the gel pack sit out for several minutes before inserting it inside the wrap. When the pack is soft enough to bend, it's ready to use for treatment. When people have severe inflammation, the cold may be less noticeable to them because of the pain they're in. This does not mean that more cold than recommended above should be applied. Trust us, the ColdCure® is doing its job. If you think the gel doesn't feel cold enough, try charging it in the freezer overnight. You can keep the gel packs stored in the freezer permanently, whenever they're not in use. Not all freezers are the same. If you find the gel packs too cold when stored in the freezer, you can store them in the fridge. If you're storing the packs in the fridge, there's no need to take breaks between your treatments or to have a layer of clothing between the wrap and your skin. You can use the ColdCure® Wrap continuously throughout the day, swapping the XC Gel® packs out when the cold diminishes. ColdCure® treatments should be used immediately following fresh trauma to reduce swelling and inflammation. 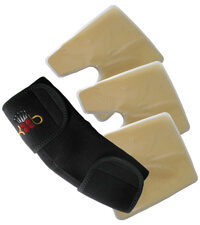 ColdCure® is designed to relieve pain and inflammation associated with soft tissue injuries. Reducing swelling and inflammation is the first step to healing. Individuals suffering from mature injuries may further irritate the injured area through overuse, which may be followed by an increase in pain and inflammation. Using ColdCure® after physical activity will help minimize inflammation caused by overuse or strain. In cases of re-injury, use ColdCure® as often as necessary to reduce pain and inflammation. The following guidance applies to customers who have purchased both a BFST® Wrap and a ColdCure® Wrap. 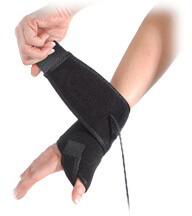 Use the ColdCure® Wrap during the first 48 hours following any injury or re-injury. This will help reduce not only the visible swelling you may see on the surface, but also the inflammation you may have and cannot see, deep down in the soft tissue. NOTE: Avoid using the BFST® Wrap until your inflammation and swelling has subsided. If you experience any pain or discomfort during BFST® treatments, this is an indicator that you may have internal inflammation. In this scenario, please discontinue BFST® treatments for several days and focus on reducing the inflammation with your ColdCure® Wrap. A BFST® treatment first thing in the morning will help relax damaged tissue and increase blood flow. This will help reduce stiffness. During the day, do a BFST® treatment every 4 hours or before any type of physical activity. This can include high impact activities like doing a workout at the gym or going for a run, or lower impact activities like swimming and walking. Doing a BFST® treatment before any activity that places strain on the injured area will act as a "warm-up" for your circulatory system and help you avoid re-injury. This can be used as a preventative measure after full recovery to optimize your blood flow. ColdCure® can be used any time you experience a pain flare-up or after any physical activity to reduce the risk of further injury, swelling and inflammation. 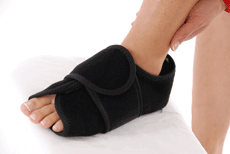 If there is swelling and/or inflammation in the area of injury, this is always a good time for ColdCure®. NOTE: If you want to do another BFST® treatment following your ColdCure® treatment, wait 30-45 minutes after your ColdCure® treatment. This time will allow the blood flow and body temperature to regulate again. NOTE: Refrain from using the ColdCure® within the 4 hours following your 20 minute BFST® treatment. This will counteract the treatment. If necessary, use the ColdCure® for pain control, then follow-up with another BFST® treatment. Or, if you've just been active, then we recommend you go ahead with using ColdCure® to bring down any post-activity inflammation, then follow-up with another BFST® treatment. A BFST® treatment before going to bed will relax the area and aid healing. We have separate Combination Therapy instructions for people suffering with a Baker's Cyst. Please click here for our Baker's Cyst Combination Therapy instructions. When it comes to using Combination Therapy to treat arthritis, there is one exception to the above instructions. If you are using BFST® to treat your symptoms, you would continue using BFST® for symptomatic relief, regardless of the pain and swelling. Please visit our Support Tape Instructions page for information on how to use our KB Tape.